Size: 18 x 20 cms. Title: 'CARTE DE UNIVERSELLE PTOLOMEE' by Monsieur Bourgoin, Paris. 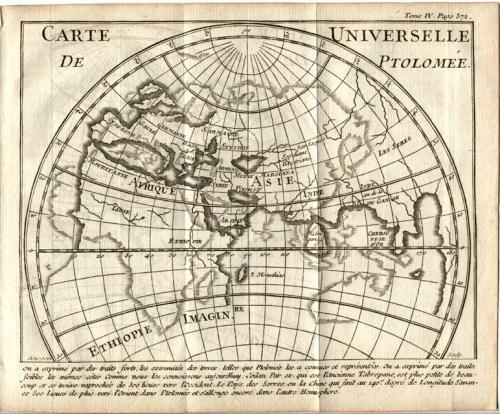 An interesting small map that contrasts the Ptolemaic world with the known world of 1764. The map is in excellent condition with folds as issued.